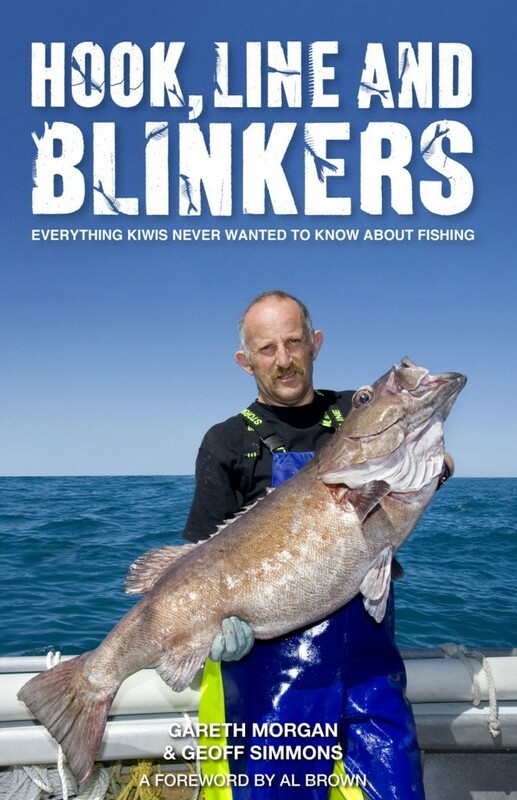 Gareth Morgan and co-writer Geoff Simmons have produced a ‘must read’ for all Kiwis who value their fishing. Hook, Line and Blinkers is written in a casual style that enables the well researched message to be understood by all. The book is informative, it is challenging and it is inspiring. For over a year the NZRFC have been calling for a national conversation on a better future for all who fish in NZ. The information in this book will ensure that conversation is well briefed. The Board of the NZRFC don’t always agree with the authors 100% but they do wholeheartedly support the book’s call for Kiwis to get engaged in the issues. NZRFC advises all Kiwis to get a copy of this book and read it this summer. We reckon there is so much information and so many ideas in the book that it will be one to read and re-read. Recreational fishers may wish to dive deep by going straight to Chapter 7 that peels back the myths of recreational fishing in NZ. Then go back to the start of the book and enjoy the unfolding journey from ocean to plankton to fish to man’s impact on it all. Then learn more about the origins of the QMS. Understand these bones without getting stuck in the rights and wrongs of the historical decisions, then get an assessment of how well we are really doing in NZ in sustainably managing fisheries. There are some exciting ideas to explore for doing it better including a formal move to aim above MSY. NZRFC is supportive of such an approach that focuses on abundance instead of fishing down the fisheries resources. Having read chapters 1-6, you are now ready to take on Chapter 7 again. We look forward to debating the ideas in this chapter in a national conversation and give credit to Gareth and Geoff for putting this book together. Note, there is also a website www.blinkers.co.nz to enable readers to debate the issues.